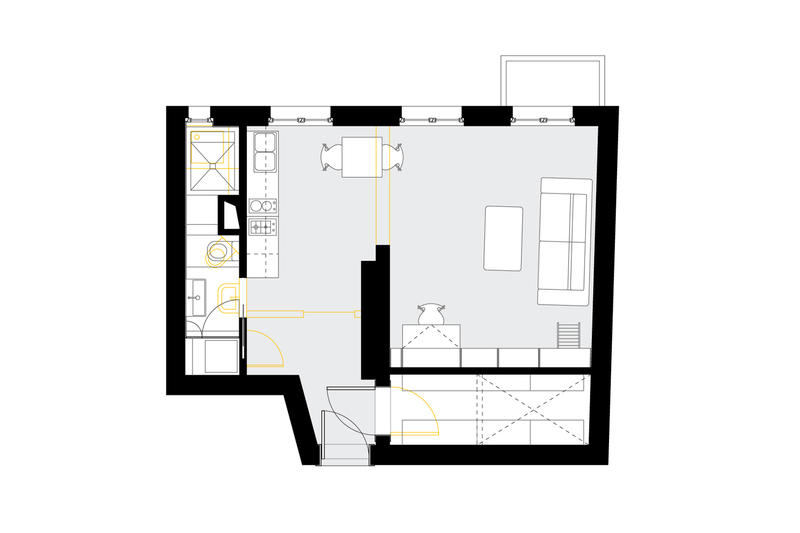 A typical Berlin-style apartment with boring rooms and very narrow bathroom was converted into a small spatial miracle, that offers everything the occupants need for a comfortable life. 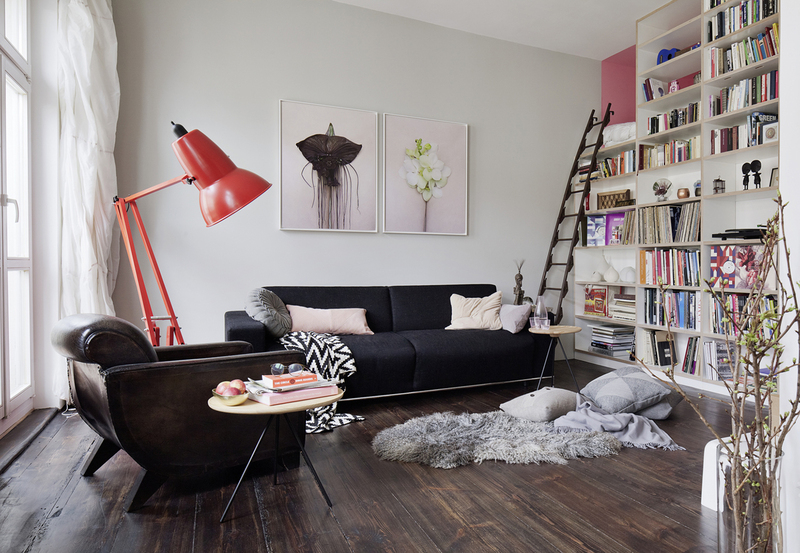 Walls very partly removed to create generous spaces. 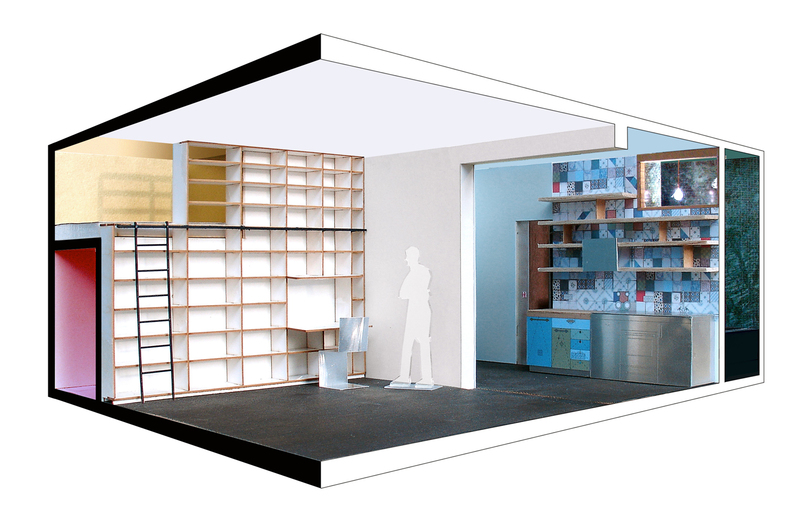 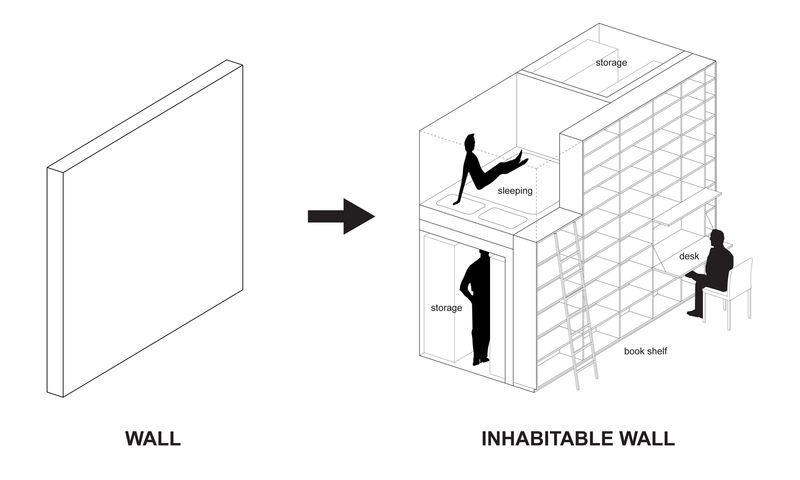 An “inhabitable” wall serves as walk-in closet, sleeping loft, bookshelf and desk. 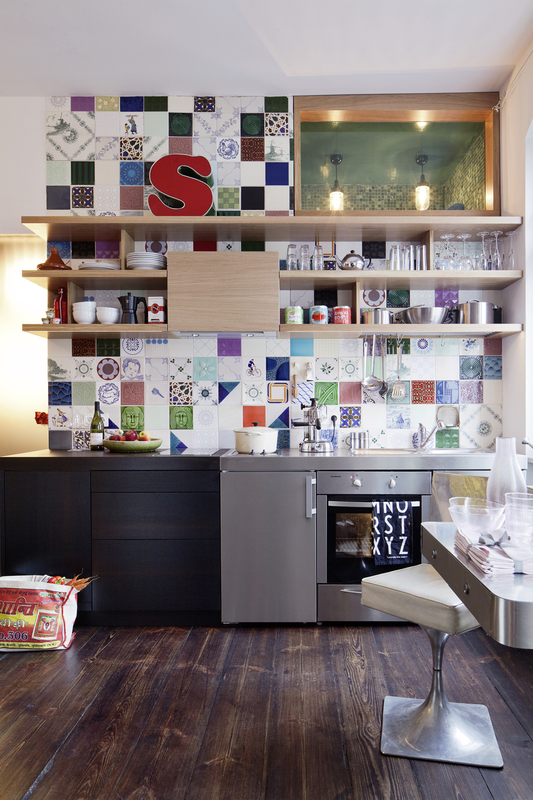 The kitchen unit becomes the main piece of furniture in the living area. 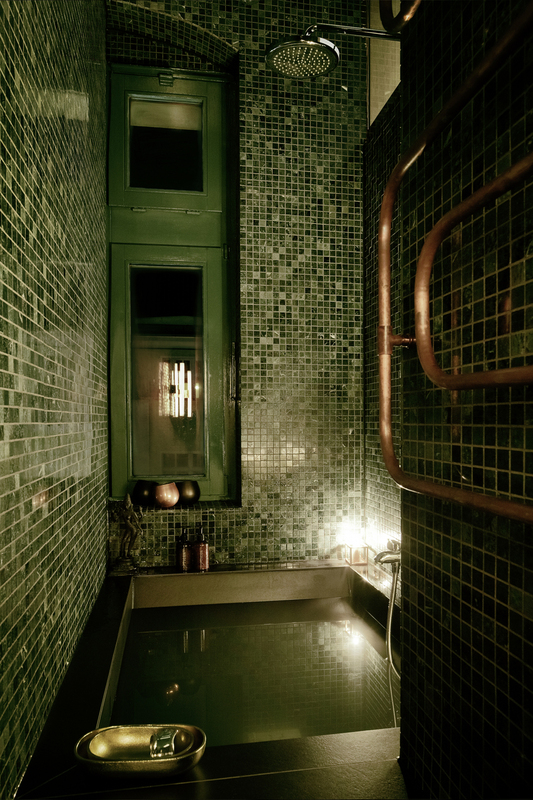 The new bathroom features darkgreen marble, copper heating pipes and built-in tiles tub and now feels like a luxurious hammam. 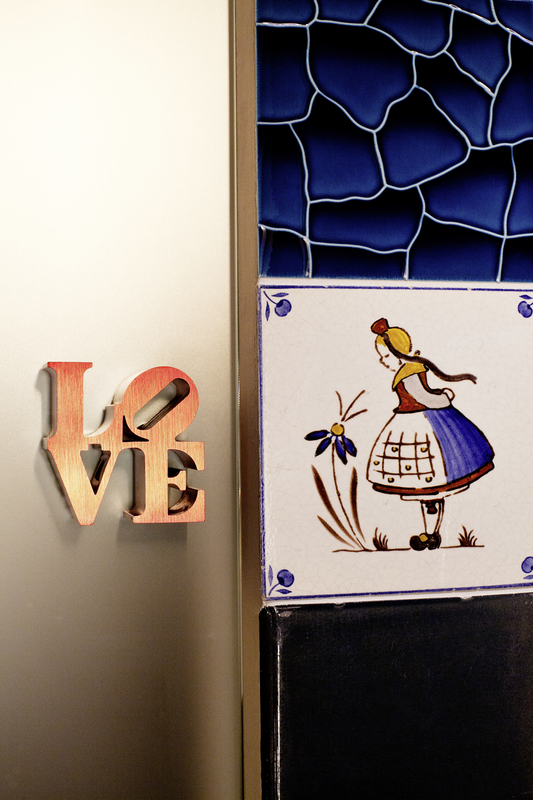 Everything was precisely designed to transform only 40m² into a maximum of cosiness and practicality.